The Ell-Saline Cardinals played host to Smith Center Thursday on Senior Night in Brookville. It didn’t take long to learn why the Redmen came in as the state’s top-ranked team in Class 2A-1A. With 5:47 to play in the 1st quarter, Smith Center held a 21-0 lead – without running a single offensive play from scrimmage. 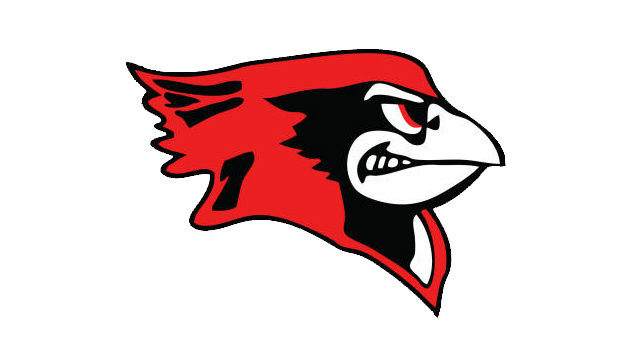 At the 11:10 mark, Ell-Saline junior quarterback Nick Davenport was picked off by Smith Center senior Brett Meyer, who weaved his way through would-be Cardinal tacklers for a 45-yard touchdown. Following the extra point, the Redmen held a 7-0 advantage. Just 53 seconds later, the Redmen brought a blitz, forcing a Davenport fumble. Smith Center senior Trace Haven scooped and scored on the 11-yard fumble return for the second Redmen touchdown. The extra point was pulled wide left, leaving the score at 13-0. It was the Smith Center special teams getting into the scoring act next. Following a long Ell-Saline drive, the Cardinal offense stalled near the Redmen 35-yard line. On a solid punt into the coffin corner by Cardinal sophomore Sawyer Kramer, Smith Center senior Colten Hutchinson worked from the near sideline through the middle of the field, shedding multiple tacklers, finally bouncing free toward the far boundary. 95 yards later, the Redmen had their third score of the night. A successful two-point conversion made it 21-0. Then, the Redmen offense took center stage. On Smith Center’s first offensive play from scrimmage of the night, senior tailback Jesse Staples took it 35 yards to the house to make it 28-0. Following a quick three-and-out by the Ell-Saline offense and a punt of just six yards, Smith Center’s second play from scrimmage turned into their second offensive touchdown – a 17-yard run by Haven, and with 1:47 to play in the first quarter, Smith Center held a commanding 35-0 lead. Smith Center added 12 points in the second quarter, as Staples ran for the hat trick, recording his second and third rushing touchdowns of the night, from 52 yards and 11 yards respectively, giving the Redmen a 47-0 halftime advantage. In a running-clock second half, Smith Center put up the final points of the night with 6:17 remaining in the third quarter, as Hutchinson tallied his lone passing touchdown of the night on a 46-yard bomb to Meyer, leading to the final score of 54-0. With the win, the Redmen (8-1) claimed the District 6 title and await the runner up from District 5, with Medicine Lodge in the driver’s seat for that spot, needing a victory over a 1-7 Remington squad Friday night to advance. Meanwhile the Cardinals (7-1) move into the 2A-1A State Playoffs as the District 6 runner-up and will hit the road next Friday night to square off with a familiar foe, arch rival Sedgwick (5-4), which wrapped up the District 5 title with a 66-0 thumping of Inman on Thursday evening.